March Madness? How about just something fun to do this month? Here’s what’s happening in the Savannah area this March, 2017. For gamers and comic book enthusiasts, GnomeCon is coming to the Coastal Georgia Center at 305 Fahm Street. This science fiction and fantasy convention is March 3-5 with a variety of events and activities for people of all ages. Participate in costume making workshops, game tournaments, zombie family feud and a unique screening of the Rocky Horror Picture Show. Tickets start at $35. River Street’s St. Patrick’s Day Celebration is happening on March 17-19 at the Riverfront Plaza and includes entertainment, life music, outdoor restaurants, singing and celebrating. Of course you want to wear green this day to participate in some of the fun activities, contests and Savannah Waterfront Association’s largest event of the year. If you bring your ID you can grab a wristband to enjoy your adult drink to go walking around one of Savannah’s largest parties. Wristbands are $5 per day and can be purchased at multiple downtown locations. You won’t want to miss this annual event March 17, 18th and 19th. The Savannah Sightseeing Old Town Trolley Tours has events going on all month long. It starts off with the Oyster Roast on March 5 supporting the Davenport House Museum. This event is from 3 PM until 6 PM. On March 10-12 is the Savannah Stopover Music Festival. This festival focuses on the good fortune of Savannah by presenting traveling musician with the SXSW music conference. This three-day festival features music, visual arts, and unique technology in a historical setting. On March 10 is the Greening of the Forsyth Fountain. This traditional event dyes all the fountains green in Savannah starting off the St. Patrick’s Day tradition. However, they do need a lot of help so you want to get involved with the city and their events tours to participate in this fun event. On March 11 is the Tara Feis Irish Celebration sponsored by the city’s Cultural Affairs. This is on the Saturday before the St. Patrick’s Day parade and is a family-friendly festival open to the public with free admission. It offers live Irish dancing performances, food, activities, arts and crafts and games. It’s held each year in Emmet Park in the heart of downtown Savannah beginning at 11:00 AM. On March 11 is the Celtic Cross Ceremony and Recession where Irish Catholics join together to celebrate their heritage at Emmet Park. Bagpipes play, Irish speakers talk about the past and the future of Irish Catholics in the Savannah area and there’s a reception at 2:30 PM with food and refreshments. The event starts at 1:00 PM. On March 16, members of the Irish community gather to celebrate members of the military, both past and present at the Jasper Green Ceremony located in Madison Square at the monument honoring the men who fought in Irish Jasper greens. Once all the St. Patrick’s Day festivities are completed you’ll want to hang around for the 2016 Savannah Music Festival. This event is March 24 through April 9 in the Historic District of downtown Savannah. There are over 100 performances of live music, jazz, classical and a variety of international music traditions. March is our St. Patrick’s Day celebrations so if you got a hankering, don your green apparel and join us at one of these amazing events this month. March 17th – everyone around here knows it as St. Patrick’s Day, the day where you have to wear green otherwise look out for a pinch. It is one of Savannah Georgia’s favorite holidays with parades and events kicking off starting on March 2. But, I thought St. Patrick’s Day was March 17? Well, we love it so much that we celebrate all month long. On March 17 there is a St. Patrick’s Day Parade where more than 300,000 residents are expected to visit. This is the second largest St. Patrick’s Day parade in the United States and it is a citywide festival. Located in our historic district, the parade begins at the corner of Abercorn and Gwinnett Street and finishes at the corner of Bull and Harris Street. With over 350 floats, marching bands, unique and unusual appearances plus the chance to drink green beer, taste St. Patrick’s Day fair and enjoy lots of artisan crafts with that jade hue, the St. Patrick’s Day Festival is one not to be missed. This beloved annual tradition has run nearly every year for almost 200 years except for those years during major wars. On Friday through Monday, March 14 through the 17th, River Street will host one of the biggest parties of the year. This nationally recognized festival features nonstop music, food & and is free and open to the public. However, make sure you bring your I.D. in order to grab a pint of the famous green beer. Check out the links below for road closures, Celtic Cross Ceremonies, rugby tournaments and more information from River Street, city market, and details on the parade. Greening of the Fountain, Forsyth Park, 12 noon Friday, March 7th. It’s the unofficial start to St. Patrick’s Day in Savannah, Georgia. Celtic Cross Ceremony Sunday, March 9th, a quiet ceremony honoring the city’s Irish heritage. Irish Heritage Dance, Alee Temple, 8 p.m. Friday, March 14th. St. Patrick’s On The River Festival Friday thru Monday, March 14th thru 17th. 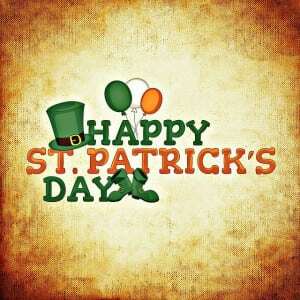 Saint Patrick’s Day Mass, Cathedral of St. John the Baptist, 8 a.m. Saturday, March 15th. Tara Feis, Emmet Park, 11-5 p.m. Saturday, March 15th, presented by the City of Savannah’s Department of Cultural Affairs. Tybee Island Parade 3 p.m. Saturday, March 15th. The Island will “go green” with a festive parade. Jasper Green Ceremony, Madison Square, 4:30 p.m. Sunday, March 16th. 2014 Saint Patrick’s Day Parade Monday, March 17th—second largest in the nation! Get on your rain boots, don your favorite gardening gloves and meet us for the 14th Annual Low Country Home and Garden Show at the Westin Savannah Harbor Golf Resort and Spa February 28, March 1st and 2nd starting at 2pm on Friday. Located just across the river from downtown Savannah Georgia is your opportunity to get ideas, trinkets, or the means to have someone else do all of your home and garden work here at one of the most exciting home and garden shows all year. Located at the Savannah International Trade and Convention Center, attendees will meet special guests, gardeners, and watch exhibits and presentations on the best tips for gardening in our area, new tools and tricks of the trades plus get a lot of ideas for making your yard a gardeners paradise. Attendees will meet local and national celebrities such as Wayde and Brett, stars of Animal Planet’s Tanked talking about creating unique fish tanks and ponds out as unconventional items. You’ll also meet Norman Winter, “The Garden Guru”, director of you GA’s Coastal Georgia Botanical Gardens at the Historic Bamboo Farm. Go show you how to create a beautiful landscape of color that sustainable year-round. The show starts on Friday, February 28 from 2 to 7 PM; March 1 from 10:00 AM to 7 PM and March 2 from 11:00 AM to 5 PM. Tickets are only sold on-site and adults are $7, seniors 65 and over are $6 as well as retired military and 16 and under as well as active military are free. There is on-site parking for seven dollars. Remember, cash or check only. The show will feature over 4000 ft.² of gardens, water features and landscapes to tantalize your imagination and get the juices flowing for this spring and summer. You’ll also find home improvement sounds with new construction ideas, guarding gazebos, retaining walls and more. You’ll find ideas for outdoor living, pools and spas as well as interior design and home accessories. You’ll be able to take home certain plants, tools and items and shop around at the art, gift and gourmet center. There’s so much to see and do you may want to come back for another day. But make sure you put the Savannah Annual Low Country Home And Garden Show on your calendar February 28 through March 2.